Al Jolson was an actor of The Jazz Singer, and The Singing Fool fame, and singer of Swanee, Baby Face, Sonny Boy, Mammy, and Toot, Toot, Tootsie, Goodbye fame. He is the entertainer who ushered in the era of sound films when he famously uttered the words, "Wait a minute, wait a minute. You ain't heard nothin' yet!" in The Jazz Singer, one of the first "talkies" to enjoy wide commercial success. Billed as "The World's Greatest Entertainer," he was one of the highest paid performers during the early years of Hollywood. Note that in September 1951, he was moved from his initial burial place at the Beth Olam Cemetery, 900 N. Gower Street, Hollywood, California, to his final resting place at Hillside Memorial Park. Jolson's incredibly elaborate burial site features a statue of the entertainer, on one knee, arms outstretched, in his famous "Mammy pose." * Note that some early editions of Who's Who in America erroneously report Jolson was born in "Washington, D.C." where he was, in fact, raised, not born. His date of birth has been the subject of debate for decades. It was long thought there were no birth records for Al Jolson, so verifying a date was considered impossible. Both birth and military records have recently been discovered, and confirm his birth took place in May of 1886. March 23, March 26, May 23, and May 26 have all erroneously been reported as his birth date. Those newly uncovered birth records show May 28, 1886 (O.S.) as his date of birth. That May 28th date is Old Style (O.S. ), since the Julian calendar was still in use locally. This date is June 9 (N.S. ), 1886, on the New Style (N.S.) or Gregorian calendar. ** Many sources report the date they filed for divorce as their actual date of divorce. The above dates are the dates their divorces were final. Visit our page regarding info on divorce dates at Internet Accuracy Project, for more information. *** Note that a couple of sources mistakenly report they married at "Quartzite," Arizona. The name of the town in which they exchanged their vows is spelled Quartzsite, Arizona. Al Jolson was one of entertainment's earliest superstars, before that term even existed. By 1915, he was being billed as "America's Greatest Entertainer." Within a decade, his billing had become "The World's Greatest Entertainer." Entertainment historians recall Jolson as one of the greatest stars of the first half of the 20th century. With his inflated ego, Al would have been the first to concur with that assessment. Notable firsts in Jolson's career include the first recording (Sonny Boy) to sell more than a million copies. He was the first musical artist to sell a total of over 10 million copies of his various recordings. And, of course, he starred in the first major motion picture with sound, a true landmark in the history of film. Jolson was also the first male entertainment star in America who readily acknowledged he was Jewish. 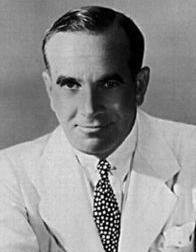 Al Jolson began his entertainment career working in circuses, burlesque, and finally, vaudeville. He quickly rose through the ranks of vaudeville to become a headliner. His extraordinary stage presence, exuberant gestures, blackface singing and comedy, sentimental song delivery, and his habit of directly addressing his audience, were some of the key elements that made him so popular with audiences. Another of his trademarks was his use of whistling in his routine. He sometimes used loud melodic whistle trills, approximating a frenetic birdcall, to punctuate songs and gags. In the early days, he had actually whistled songs on stage until his voice matured. Al worked tirelessly to entertain American troops during World War II and the Korean War, and gave of his time and money to the March of Dimes and other worthy philanthropic causes. Some of his colleagues in show business described Al as one of the most self-centered men on earth. Many openly complained about his colossal ego, but none could deny his talent or the remarkable personal rapport he had with his audiences. Following his rise to the top of vaudeville, he conquered Broadway. His stage credits include La Belle Paree (1911), Vera Violetta (1911), The Whirl of Society (1912), The Honeymoon Express (1913), Dancing Around (1914), Robinson Crusoe, Jr. (1916), Sinbad (1918), Bombo (1921), Big Boy (1925), The Wonder Bar (1931), and Hold on to Your Hats (1940). In addition to The Jazz Singer (1927), and The Singing Fool (1928), Jolson's other films include A Plantation Act (1926), Say It with Songs (1929), Mammy (1930), Big Boy (1930), Hallelujah I'm a Bum (1933), Wonder Bar (1934), Go Into Your Dance (1935), The Singing Kid (1936), Rose of Washington Square (1939), Hollywood Cavalcade (1939), Swanee River (1939), and Rhapsody in Blue (1945). Larry Parks portrayed Al in The Jolson Story (1946) and Jolson Sings Again (1949), but it was Jolson himself who provided the singing voice for Larry Parks. It was Al Jolson who helped introduce ragtime, jazz, and the blues to white audiences. But his own biggest hits tended to be sentimental favorites that sometimes left his audiences in tears. A small sampling of Al's numerous songs includes Sonny Boy, Toot, Toot, Tootsie, Goodbye, Baby Face, Rock-A-Bye Your Baby With A Dixie Melody, April Showers, When the Red, Red Robin Comes Bob-Bob-Bobbin' Along, Rum Tum Tiddle, Anniversary Song, California, Here I Come, Avalon, Swanee, and My Mammy. Jolson starred in his first radio variety series Presenting Al Jolson (1932-33) on NBC. Other radio credits include NBC Radio's Kraft Music Hall (1933-34 and 1947-49), The Shell Chateau Hour also on NBC (1935-36), Cafe Trocadero on CBS (1936-39), and Al Jolson on CBS (1942-43). He also made guest appearances on numerous radio programs such as Amos 'n' Andy, Lux Radio Theatre, The Radio Hall of Fame, The Jack Benny Show, The Bob Hope Show, The Jimmy Durante Show, The Chase & Sanborn Hour, The Rudy Vallee Show, The Kate Smith Show, The Ben Bernie Show, Maxwell House Coffee Time, Hollywood Hotel, Pabst Blue Ribbon Show, and Leave It To Joan. Note that these residences may no longer exist, and it's possible the addresses have changed over the years. This is not to suggest that Jolson owned each and every one of these structures. We're only reporting the fact that he called them home at one point or another in his life. 36 West 59th St., New York City, New York, U.S.A.
Sherry-Netherland Hotel, 781 Fifth Ave., New York City, New York, U.S.A. The most in-depth of more than three dozen sources consulted in preparing this profile, was the 1988 biography, Jolson: The Legend Comes to Life, by Herbert G. Goldman.